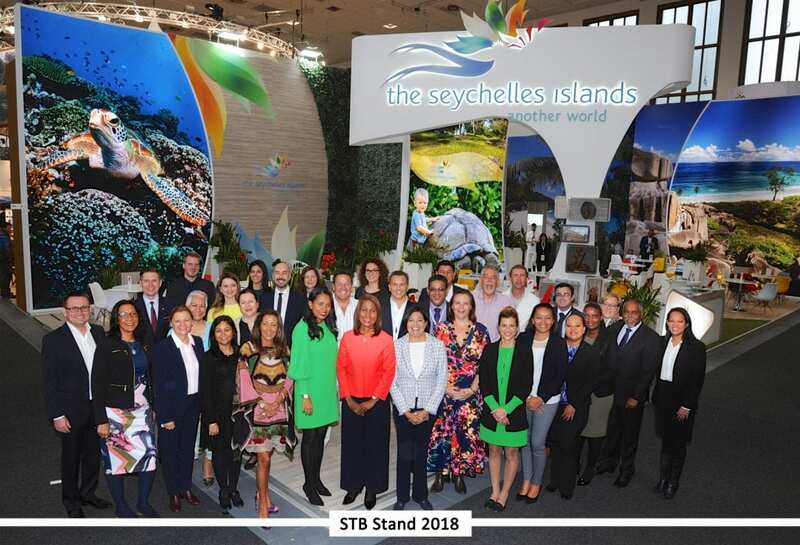 The Seychelles Tourism Board (STB), alongside some trade partners, represented destination Seychelles in Belgium during a holiday fair held from February 7, 2019 to February 10, 2019. Held in the Belgian capital Brussels, over four days, the 61st edition of the ‘Le salon de Vacances’ saw the presence of about hundred thousand visitors, each looking for the perfect destination for their next holiday. The delegation representing the destination at ‘Le salon de Vacances’ fair was headed by the Regional Director Europe Mrs. Bernadette Willemin, who was accompanied by Ms. Myra Fanchette, the STB Senior Marketing Executive in Paris. Mr. Eddie d’Offay from Pure Seychelles Hotel and Mrs. Maryse William of Seychelles European Reservation, two representatives of trade partners joined the STB team at the Seychelles’ dedicated stand. The 350 exhibitors spread out on more than 33,000meter square in different pavilion of the Brussels Expo, gave the public a wide range of activities from different destination to choose from. The ‘Le salon de Vacances’, above all famous for the information bestowed by tourism professionals from all over the world, reserves from now on new experiences for the visitors. Other than being able to reserve and plan their next trip, visitors had the opportunity to benefit from the wellness zone, and get sessions of massage and relaxation. They were also able to do diving initiation or discover unique flavors coming from the four corners of the world in the cooking theater. Consistent with past editions, the ‘Le salon de Vacances’, was a great success. The STB team noted with satisfaction that this year’s edition recorded a good turnout. The peaks of visitors was specially noted over the weekend which was marked as the most crowded and busiest days with the Belgians public coming out in full force looking for their next holiday destination. Speaking about the STB’s participation at the ‘Le salon de Vacances’, Mrs. Bernadette Willemin mentioned that Seychelles remains constantly visible on all European markets in order to keep the numbers in elevation. “The STB office started the New Year on a high note, with its presence at various travel and trade fairs in the different countries under its jurisdiction and this includes the ‘Salon des Vacances’. It is important for us to mark our presence on various fairs specially in Europe as we believe destination Seychelles still has lots to offer in the different market segments and for different holiday budgets,” said Mrs. Willemin. In 2019, the fair proved to be among one of the biggest national tourism show in Belgium.